The new documentary Race to Nowhere, following the tradition of movies such as Food Inc. and An Inconvenient Truth, is less about introducing a new idea, and more about providing a clear distillation of ideas already on peoples’ minds. This film, which presents a concerned mother’s investigation of the “high-stakes, high-pressure culture” of the American educational system, provides parents a focus for their otherwise ambiguous unease about rising student stress. As one mother reacted after a Washington D.C.-area screening: “I think more people need to be willing to take a step back and ask, ‘Why are we doing this? '” She then spread the word about the film to her local PTA. Like most good issue films, Race to Nowhere separates the problem from the solution. “[The co-directors] admirably convey the complexity of the issue with considerably more compassion than prescription,” complimented The New York Times. But now that this documentary has succeeded, and the issue of student stress is once again a hot topic, commentators such as myself can safely join the “prescription” side of this conversation. 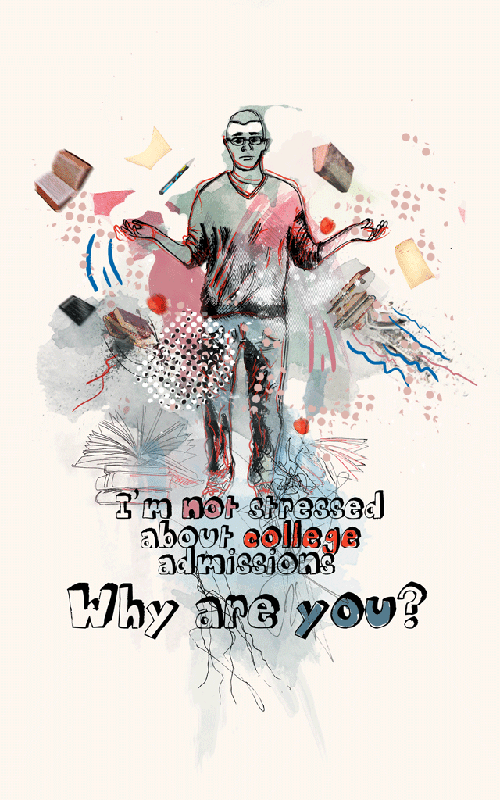 Accordingly, in this essay, I want to present my unconventional view on student stress at the secondary school level: the college admissions process, which is the main driver of student stress, doesn’t have to be a bad thing, and in fact, if approached correctly, can instead become the foundation for a life well-lived. The ambition to get into a good college drives students to unhealthy amounts of work and anxiety which breeds many problems. Therefore, we need to reduce this ambition. There are two approaches commonly proposed for this reduction: systemic and psychological. These approaches, however, have been around for a while, and have generally failed to produce any significant decrease in student stress. The reason for this failure is clear: many people don’t buy the argument that it’s good to reduce ambition. “Our society rewards competition…you’re not going to be able to avoid that,” said a father of four after seeing a screening of Race to Nowhere in Bethesda, Maryland. These parents are reacting to an important truth: being impressive matters. Students who get into good colleges are surrounded by more interesting people and get first dibs at the most interesting job opportunities (even though we bend over backwards to convince ourselves this is not true), those who stand out in their entry level jobs then get the most interesting promotions, and so on. The financial freedom that allowed co-director Vicki Abeles to make Race to Nowhere, for example, comes from her career as successful attorney — a path that required standing out again and again. 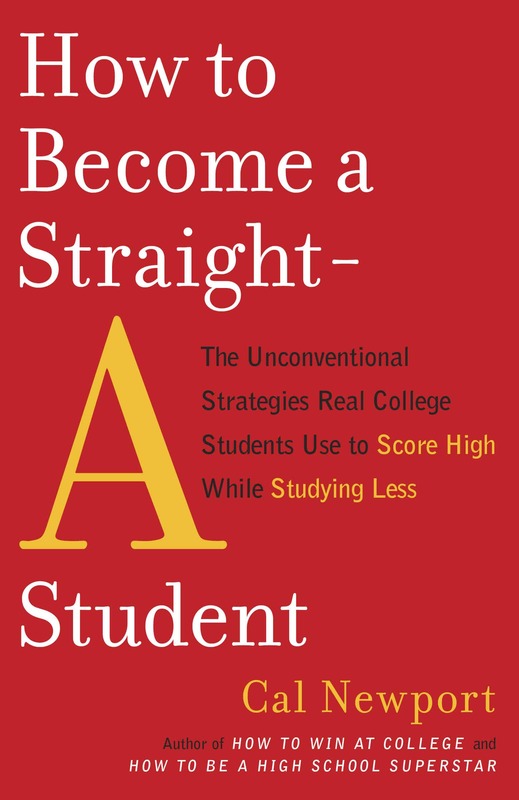 Put another way: convincing a student that there’s more to life than Harvard might save him a couple years of teenage stress, but might also condemn him to a lifetime of less inspiring jobs and the nagging drag of wasted potential. 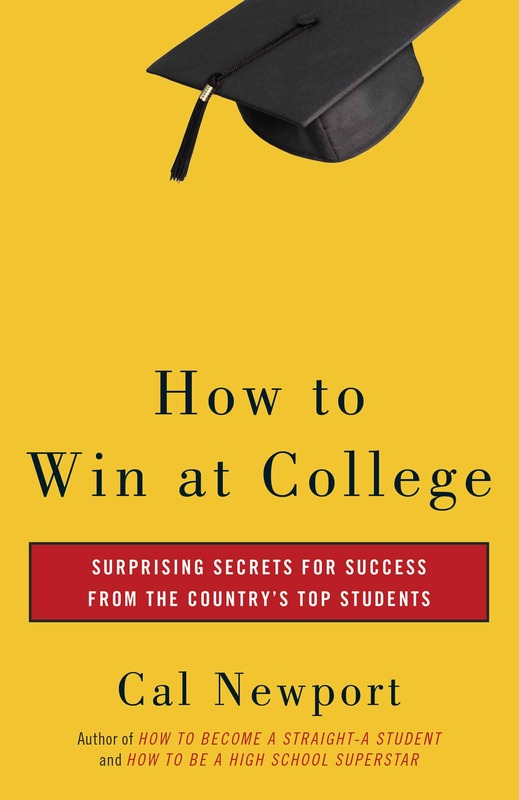 Last summer, I published a book with a surprising premise: there exists a large community of high school students who do well in the college admissions process while still enjoying their lives. I called these students relaxed superstars. We rarely hear their stories in the admissions stress debate, but they’re common: most high schools have at least one laid back senior who surprises everyone when he gets accepted to Stanford. Most ambitious high school students adopt a survival mindset that says: “if I can only make it through a couple more years of this brutal work load and get accepted to my reach school, then I’ll be set!” Relaxed superstars reject this mindset. They understand, as explained above, that impressiveness is not a one-shot deal. You have to keep investing effort to stand out through college and beyond. Accordingly, the survival mindset is short-sighted. At the same time, however, they embrace the idea that living up to your potential helps build an interesting life. Ambition is good because standing out leads to interesting opportunities in life. These opportunities, however, are wasted if you have to suffer to maintain them, therefore the only acceptable paths to achievement are those that are compatible with a happy life right now. Here’s my central thesis: We should use the relaxed superstar model to combat student stress! That is, we should reject the survival mindset that leads to stress and depression, but at the same time, we should also reject any call to reduce ambition. Students and their parents should instead embrace the college admissions process as the perfect opportunity to develop a skill crucial to leading an interesting and happy life: figuring out how to pursue exciting ambitions in a sustainable manner. All great points. However, I think it’s worth re-emphasizing that a laid back superstar still possesses a diligent work ethic. A significant portion of stress reduction comes from doing extracurriculars that are fun and meaningful to the student. As a curent high school sophomore, my younger sister does a lot more than I ever did in high school (I am currently a senior in college), but she is a lot less stressed than I ever was in high school because she finds these activities both interesting and great opportunities to socialize with her friends after school. By identifying and pursuing extracurriculars for the sake of intellectual curiosity and enjoyment, rather than doing them for the sake of looking good on a college app, it will make the same amount of effort much more enjoyable and, therefore, sustainable. It all starts with asking what the student is interested in, rather than asking what looks best on a college application. If passion is there from the beginning, looking good on a college app will likely follow. I have read How to Become a High School Superstar and I am now pursuing my talent but I am afraid of not doing the IB Diploma. but I am afraid of not doing the IB Diploma. There’s nothing inherently wrong with pursuing the IB Diploma, so long as you’ve setup the other classes in your schedule, and more importantly, setup smart study habits, that allows you to handle the work in a reasonable schedule. If even with an otherwise light schedule and hard work on your habits, you’re still unavoidably working into the night, then you need to start asking whether it’s sustainable. I read about this documentary about two months ago but could not find a screening, but I thought about your new book immediately. 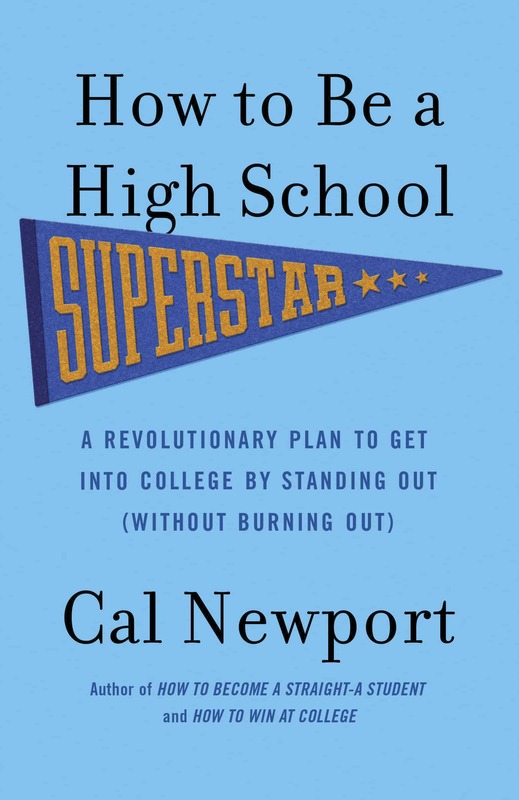 I think countless young people across the nation would benefit substantially from “How to Be a High School Superstar” and learn what it really takes to be competitive while enjoying their lives with as minimum of unnecessary stress as possible. Your college admission article archive isn’t working. Just wanted to let you know. Enjoyed the read! grow and develop (compared to less competitive schools or jobs). step towards a more successful and less stressful life. Cal, Wait until you see this. Amy Chua, the brilliant Yale Law professor, has written about Chinese parenting in a way that gets to many of your points, but from totally different first steps. Asian mothers produce superstars by developing their children’s competence, but there is nothing relaxed about it. This is riveting. Excellent thoughts Cal. There is almost always more than one approach to a desired goal – and stress does not always need to be part of success. Thanks for sharing. Your college admission article archive isn’t working. Good catch. I fixed this. I heard about that. I think she has the same distrust I have toward the wishy-washy “there’s more to life to Harvard,” ambition-reduction approach. As you note, however, we probably disagree some on the specifics of what to do instead. Cal, I’m curious. You use both the terms “romantic scholar” and “relaxed superstar” to describe students who transcend the race to nowhere and find deeply engaging, sustainable lives. Is there a difference between these two terms? Does one presuppose the other? Isn’t it “complimented” not “complemented”? Sorry for being a spelling Nazi. That’s a good question. To me, the distinction is that the Romantic Scholar is a more focused, as it applies specifically to the students relationship to his or her school work, my goal with the series is to remove the adversarial relationship many students feel toward their work. The Relaxed Superstar is a more broad term for students who are impressive without being overworked. sn’t it “complimented” not “complemented”? Hey Cal, I was just wondering if you still do public speaking, I watched you on Youtube with Liam, thought it was great. I maintain a limited schedule of speeches. I usually point people toward my speaking bureau (Premiere Speakers) if they are interested in finding out more. I’m not totally against the survival mindset. I was at a high school where one would go to a good state college if one was relaxed. Didn’t matter how smart you were–the classes were sufficiently difficult that to get decent grades as an upperclassman, you would not be sleeping much. Or have any social life outside of school, pretty much. And so I burned the candle at both ends and took a blowtorch to the middle for two years. I was pretty much miserable, but so driven that I would have been more miserable otherwise. (If you wanted to stop assigning homework over breaks, I wouldn’t object.) 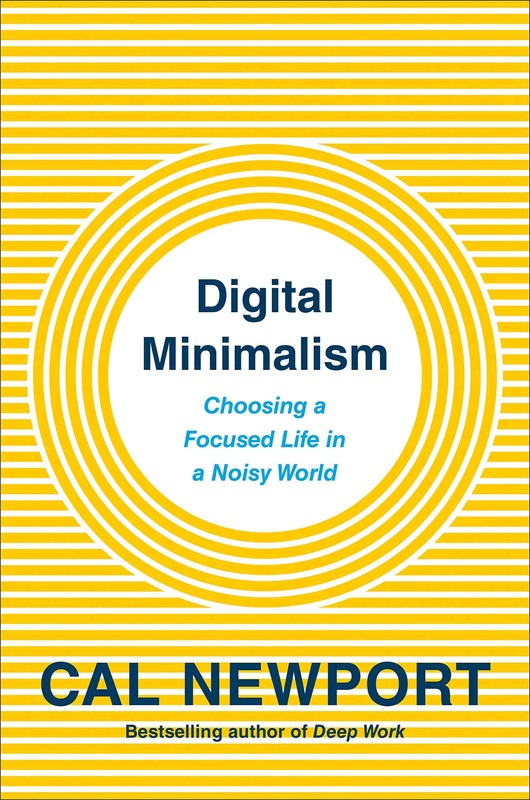 I would hate to recommend this to anyone else, because it sounds so likely to veer badly off course (into depression or worse), but it paid off, for me, a hundredfold. I would not go back and make high school easier. Even in my freshman year, I was the relaxed superstar at Harvard. Many of my friends for whom high school was a cakewalk of roses and puppies struggled mightily for the first two or three semesters. I sat back, relaxed, scored an interesting internship in an interesting field by being unconventional, had time to sleep and take care of myself and have a social life. High school was so hard that college became easy and fun. Your advice is probably wise, but it wasn’t for me. I love the old analogy – cutting down a tree with a hammer v. a saw. You can use the same ambition, but the saw is going to beat the hammer every single time. You can try to stop people from wanting to cut down the perverbial tree, (remove ambition) or get them to control their stress (if you tire out, you’ll need more breaks anyway). Or, you can let them know saws exist, how they can get one, and how to use it. They can usually take it from there. There’s nothing heroic about making people cut down trees with hammers. On the other hand, once you’ve cut down enough of trees with hammers, you may have an awakening and become inspired to build a chainsaw. Procrastinators often follow exactly the wrong tack. They try to minimize their commitments, assuming that if they have only a few things to do, they will quit procrastinating and get them done. But this goes contrary to the basic nature of the procrastinator and destroys his most important source of motivation. I didn’t like it too much, but it was mentioned at Nature and it’s worth the reading. I get sent that article often. My issue with it is that I don’t buy any system built around the notion that procrastination is inevitable — something controlled by a force outside of you that needs to be tricked. People who focus on mastering a small number of things that they think are important, don’t really have issues with procrastination. Their identify is intertwined with the craftsmanship behind their mastery. With this in mind, I see procrastination as more a problem of clarity than low-level habit. Hey Cal, I’m a grade 10 student in Canada, and right now some of my grade 12 friends are being notified about acceptance for big scholarships like the TD Canada Trust and the Loran Award. When I go through the bios of the recipients of those awards, they all seem to be people who joined every club imaginable and spent every hour on school work or extra-currics. I’ve read all your books now and completely get your philosophy, but I was wondering if you have any advice for how to use that philosophy in high school and still have a fighting chance for the big scholarships. but I was wondering if you have any advice for how to use that philosophy in high school and still have a fighting chance for the big scholarships. The same sort of strategies I discuss making you impressive for admissions officers will also work for scholarships. You don’t see many relaxed superstars when you look at award winners because these students are rare. I guess I am kinda starting to get it. I am a student so school should be my priority, but because (ever since I read your article on retaining information) school isn’t that hard anymore, I should pursue something I am already good at. I know 4 languages so I should strive to be a master at languages and take it to the next level, like developing a program like Rosetta Stone or something to help others learn languages quickly. There are things I actually want to learn, like chess, but I am a complete beginner. Would I be wasting my time trying to develop a new skill?